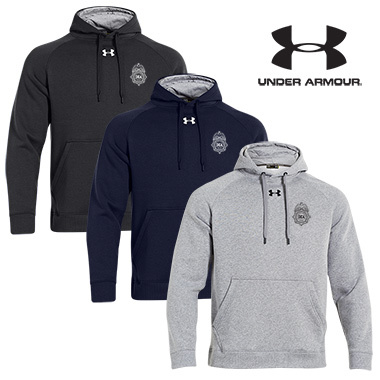 The Under Armour Every Team's Armour Men's Hoody is made for comfort, durability and athletic appeal. Comfort is achieved through 280g cotton-blend fleece for a super soft heat-trapping inside and a smooth outer but, that's not all, the Under Armour Every Team's Armour Men's Hoody takes durable comfort to the next level with Moisture Transport to wick sweat away from the skin to keep you drier and consequently warmer. A kangaroo front pocket and UA branded hood drawcord finishes off this athletic look leaving you with everything you need on a cool day. 78% Cotton/ 22% Polyester.